Yes, I know I’m on record as not being fond of cold weather . But I’m also on record as loving chocolate. So I always approach February with decidedly mixed feelings. There’s lots to do on the Trails of History, although some sites are still closed for the winter. Be sure to check ahead before venturing out into the weather. Most sites will be closed on Feb. 21 for Presidents Day, but Railroad Museum of Pennsylvania and Landis Valley Village and Farm Museum will be open. Now through March 18: The museum is currently closed to the public while a major HVAC project is underway. If you’re on Facebook, you can keep up with the project and the museum’s upcoming activities here. 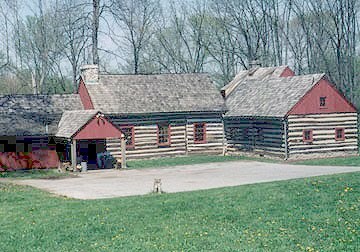 Feb. 19: Lecture, Indian Riflemen in the French and Indian War—Alan Gutchess, director of Fort Pitt Museum, will be the featured speaker. Admission charged (free to members of Bushy Run Battlefield Heritage Society). Feb. 26: Workshop, 18th-Century Journal Making—Alan Hackenberg will demonstrate how to make a soft-cover and a hard-cover book; participants will start their own project to take home. Class size is limited; registration form is here. Feb. 8: Lecture, Robert Coleman—Dr. Frank K. Bergman will speak about Robert Coleman, one of the owners of the Cornwall Iron Furnace in the 19th century. Part of the Friends of Cornwall Iron Furnace Lecture Series. Feb. 6: Program, Black History Program—this year’s event features local historian Noah Lewis, who will interpret the experiences of Edward “Ned” Hector in the Battles of Brandywine and Germantown. Independence National Historical Park historian Coxey Toogood will also be on hand to recount the story of Oney Judge, one of President Washington’s slaves who escaped while residing in Philadelphia. 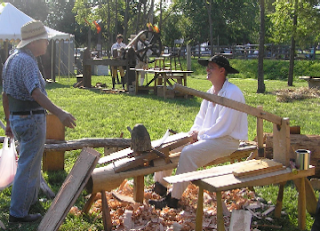 Craft demonstrations and activities will round out the day. Included in regular admission. 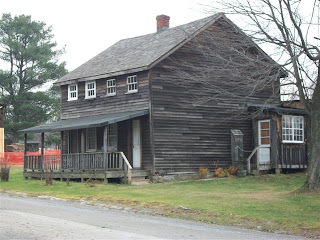 Feb. 13 (also March 6): Program, Fireside Tales—children and their families can enjoy traditional storytelling in the Wayside Lodge about Pennsylvania German and English life in the 18th-century Oley Valley. This free program (donations welcome) includes light refreshments; wear warm clothes and bring a cozy blanket. Starts Feb. 3 and continues every Thursday through April 7: Program, Winter History Class—this popular annual program offers an in-depth look at subjects related to the museum; this year the focus is daily life, land issues, and photographic documentation of the site over the years. Tuition is charged to defray program costs (members of Ephrata Cloister Associates receive a discount). Contact the site at 717/733-6600 to register. Feb. 15: Ephrata Cloister Chorus Auditions—auditions are open for all vocal parts; you must call ahead to schedule your audition time. For more info, go here. Feb. 17: Program, Women of the Tall Ship Unicorn—six local women will recount their experiences aboard Unicorn, which participated in Tall Ships Erie 2010. Presented by The Women’s Roundtable. Through March 26: Exhibit, First Impressions—exhibit of photographs of Tall Ships Erie 2010 taken by students from Erie’s Inner-City Neighborhood Art House (a public reception will be held Sunday, Jan. 30 to mark the opening of the exhibit). Feb. 12: Special event, A Colonial Valentine—learn about Elizabeth Graeme Fergusson’s loves and losses through scenes played out in the Keith House. Reservations required. Feb. 13: Special event, Valentine’s Day Around the World—kids will learn about various Valentine’s Day traditions and make a craft to take home. Children must be accompanied by an adult. Feb. 16 (and every Wednesday through March 23): Program, Homeschool Classes—classes run Wednesday mornings for 6 weeks; each week has a different theme. Discounts for Landis Valley Associates members. Registration is required; call 569-0401 x 228. Feb. 18-20: Program, Winter Institute—ward off winter’s chill with a variety of craft classes; 1, 2, and 3-day options available (see descriptions here and/or download registration form here). Feb. 26: Workshop, Heirloom Seed Project and Backyard Fruit Growers (BYFG)—beginners and more experienced gardeners will find something to suit (list of offerings here); register by Feb. 18 and save $5. Feb. 23: Lecture, America’s First Anti-war Movement and Why it Mattered—Prof. Amy Greenberg, Penn State University, will explore the development of anti-war sentiment during the US-Mexico War of 1846. Part of the Friends of the Military Museum’s monthly lecture series. Feb. 3, 10, 17 and 24: Workshop, Learn to Spin Wool—learn the basics (hands-on) of how fleece becomes wool thread; there might also be opportunities to demonstrate what you’ve learned. Advance registration required. Feb. 5: Workshop, Historical Valentine Workshop—make a puzzle purse valentine. Advance registration required. Feb. 19: Special event, George Washington’s 279th Birthday Party—craft demonstrations, open hearth cooking, a close look at the Durham Boats, a scavenger hunt for the kids, AND birthday cake! This week, guest blogger Robert Quarteroni fills us in on a major project at Eckley Miners’ Village. Thanks, Bob. When they say things are up in the air at Eckley Miners’ Village, they are not kidding. 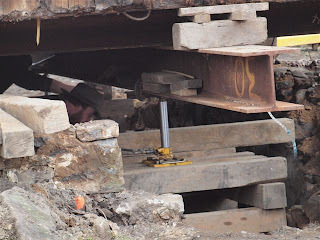 In fact, 10 things are up in the air: 10 buildings, eight miners’ houses and two superintendents’ dwellings, have been lifted right off their foundations and set to the side. The comprehensive $2.181 million project will remake the face of the Village. According to the plan, “The intent of this project is to structurally stabilize the designated buildings, reconstruct those (or portions thereof) which are beyond repair and repair exteriors.” Ten buildings are being lifted to allow workers to completely rebuild each foundation. At the same time, remediation efforts can remove any asbestos insulation or lead paint from the dwellings. Work takes place on one building at a time. 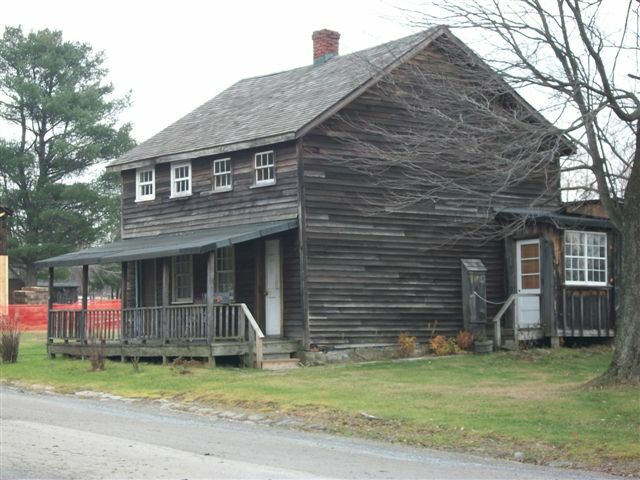 “This project is an important step in preserving the Village’s historic buildings so that future generations will be able to enjoy the legacy of our coal mining heritage,” says David Dubick, Eckley historic site administrator. 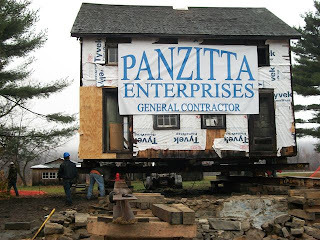 General contractor for the work is Panzitta Enterprises. 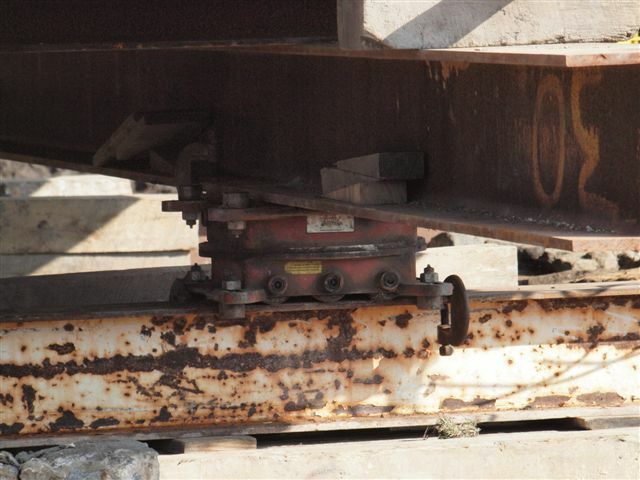 Work started in early September and is slated to be completed by January, 2012. Five years ago, a similar project stabilized 12 Village buildings. Note: Most sites will be closed on Monday, January 17, for Martin Luther King, Jr. Day. Railroad Museum of PA and Landis Valley Village and Farm Museum will be open. Site schedules are highly variable this time of year, so please be sure to check ahead before visiting. I’m not a fan of winter activities. Once my sledding days were over, that was pretty much it for me and the outdoors from New Year’s to Easter. I’d be happy to hibernate during the winter, except that I’d miss work (and chocolate). If you’re like me, you can ignore this post, put another log on the fire (or turn on that Yule Log DVD—I actually bought one but haven’t tried it out yet), and wait for spring. On the other hand, if you actually like going out when it’s cold, here’s some stuff you might enjoy. January 22 and 29: Folk Art and Friendship Workshops—the Weathervane Museum Store (717-569-9312) offers hands-on workshops featuring traditional crafts (Jan. 22 is Valentine Tin Workshop and Jan. 29 is Moravian Star Making). Cost varies by workshop and registration is required. 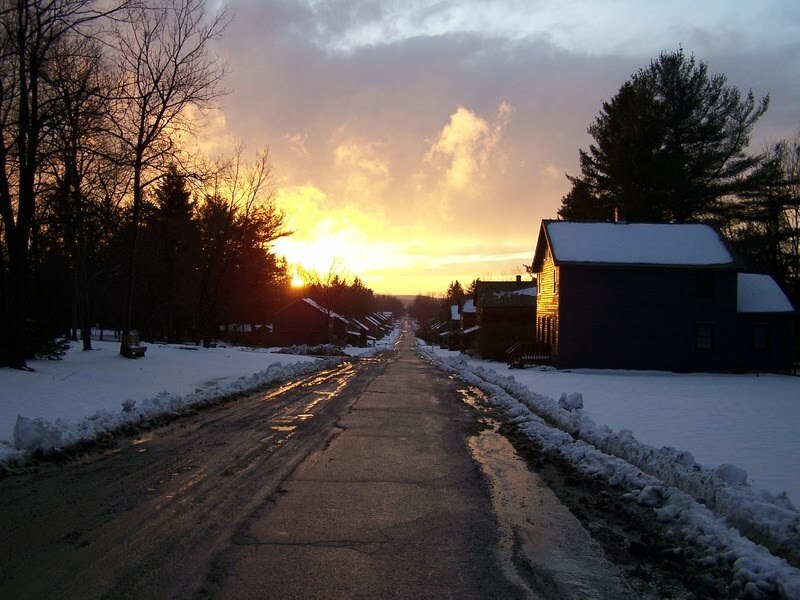 January 15: You Enter Germany—Bloody Huertgen and the Siegfried Line—2007 German documentary film production includes interviews with veterans and rarely seen archival footage. Donation requested. January 26: Meet Theodore Roosevelt—speaker is Dr. Greg Ferro, who portrays President Roosevelt. Sponsored by Friends of PMM as part of their monthly speaker series. January 30: Old Growth Forests—lecture offered in cooperation with the Department of Conservation and Natural Resources in support of the exhibit, “Wood on Glass” (see previous post here). I feel like I spend a lot of time on this blog talking about educational offerings on the Trails of History. As a museum educator, I tend to think that everything we do is educational in some way or another. That’s how I roll (ahem). But seriously, as we’ve spent the past year (longer than that, really) trying to more clearly articulate PHMC’s value, education is a big part of the discussion. Last month, a handful of us were able to attend a multi-day institute organized by the Pennsylvania Dept. of Education to help teachers and administrators navigate state academic standards (and their national counterparts). It was very energizing and confirmed that our sites and museums have a vital role to play in supporting and enhancing classroom education and 21st-century learning. In addition to the many school programs and adult/family learning opportunities our sites provide, we also get a chance to shape the future with educational programs aimed at people exploring possible careers in museum work or skilled trades/traditional crafts or professional development for those already embarked on teaching careers. Undergraduate and graduate students interested in work experience and career exploration can apply through the Keystone Internship Program for summer internships at historic sites and museums, the State Archives, or the Bureau for Historic Preservation. This past August, Trailheads introduced you to the summer 2010 crop of interns (it took 3 posts—here, here, and here). Keystone Internships are (due to budget cutbacks) unpaid, but most students receive academic credit through their college or university. Please note that the list of internship opportunities on our website is currently being updated and does not reflect what’s available for summer 2011. Please check back for new info or, if you are interested in a particular site or area of Pennsylvania, contact the specific sites directly to see if they can host an intern. Or post a comment here on Trailheads about your interest and I can help you make contact. The application deadline for summer 2011 Keystone Internships is Jan. 21, although you can contact sites or other PHMC offices at any time during the year to discuss internship opportunities. Students or recent graduates of post-secondary trade schools, technical colleges, or other training programs who want to learn important skills for work in the historic preservation field can apply for the 6th annual Summer Apprenticeship Program. Apprenticeships last 12 weeks during the summer and provide an hourly wage while students learn a variety of craft and building trades taught by preservation professionals. PHMC and its partner organizations offer apprenticeships in several locations around eastern and central Pennsylvania. The deadline for applications is April 30. PHMC, working with the Central Susquehanna Intermediate Unit and the Capital Area Intermediate Unit, is currently recruiting K-6 teachers, librarians, and special education teachers for a grant-funded professional development program, “Exploring Colonial America.” As with past offerings, this program provides content and skill development during spring and summer meetings, as well as during the interim (via the Internet). Teachers in the two host intermediate units are invited to apply by January 31 for this year’s program.